It's important to know current office cleaning rates if you are the owner of a business using such a service, or if you are a janitorial company looking to keep your prices competitive. No matter the reason, you will find this article helpful when it comes to cleaning rates, negotiating, and ensuring you receive the most for your money. 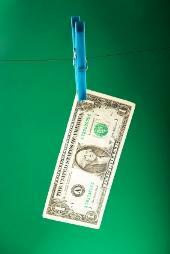 In any economy, wise businesses work off of a budget, and often cleaning services are worked into this financial plan. However, with no clear idea of how much will actually be sent in this area, businesses can either spend more than anticipated, or end up with a surplus of funds that could have been put to better use. To prevent this from happening, it's a good idea to have up to date information on current office rates if you are the owner of a business or are responsible for a company's cleaning service and billing. 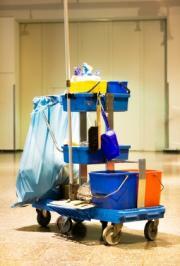 First, make a list of cleaning services you are considering hiring. You can find these through a basic Internet search or your local yellow pages. Call and ask for their hourly or monthly rate. Jot these down in your computer or on a piece of paper where you can see the rate comparisons side by side. When researching prices, you also want to ask specifically what you are getting for your money. Some rates will include less features than other services, and the only way to know is to ask. There is, after all, no point in paying the same amount for a simple polish and vacuum, when you could also be getting a complete sterilization, plant watering, etc. When comparing current office cleaning rates, you may also want to ask around to other businesses to see who they are using and what they are paying. Are the rates realistic? Are they satisfied with the services they receive? The only way to ensure a quality job is to get a reference, so go out there and get one before signing any contract. If you work for a cleaning service and have the ability to set your own rates, (either because you are self-employed or in a position of authority), then it's important to be aware of your competition. If you are charging much more than rival businesses, it will be hard to gather and retain clients. If you are charging too little, then you will be taken advantage of and may find it difficult to pay your own bills! Instead, find an appropriate balance by asking around at what others are charging. You can research common rates in the local industry by calling as a customer and shopping your competition. After you have an idea of what others are charging, you can charge just slightly less, or offer to throw in one or two extra features for the same price. Visit offices in business parks and complexes and try to meet face to face with as many managers and owners as possible. You will have better luck winning over customers if they can see an honest face and get some visuals of what you offer. Have your price list printed out on appealing postcards and/or brochures, and have plenty of business cards on hand. Placing advertisements of your cleaning business can also help your competitive rates reach the public, and you can save money yourself by taking advantage of free Internet listings such as Craigslist. Post flyers on local bulletin boards in common areas of local coffee houses where office managers and small business owners may frequent. Clear cut rates set the tone for the client-cleaner relationship, so be reasonable and realistic, whether you are setting the price or setting the budget.